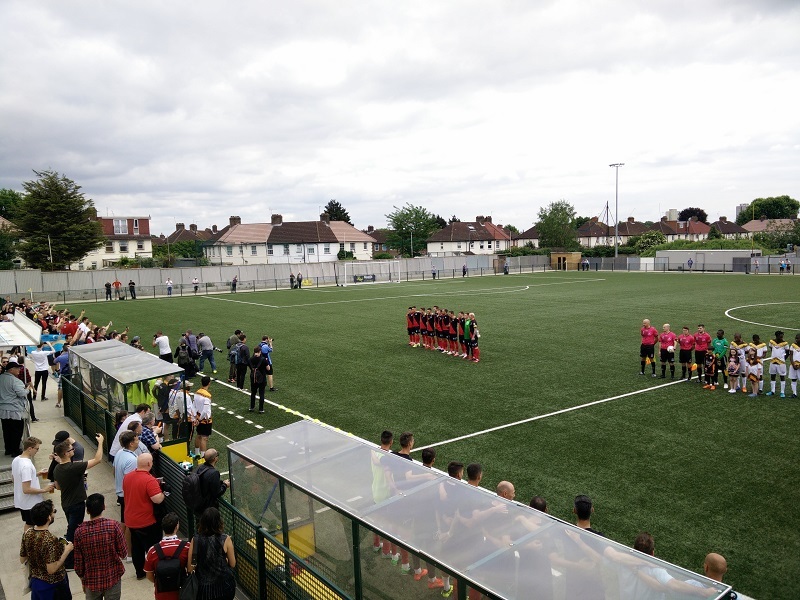 Hungary may not have qualified for the FIFA World Cup later this month in Russia, but at the ConIFA World Cup currently being held in London, it’s a different story. Tamás Cserép and Raphael Jucobin went down to find out more. Regulars on London’s W3 bus service along White Hart Lane will be accustomed to seeing football fans flock on board on Saturday afternoons. Today though, instead of carrying on up to the Tottenham Hotspur stadium, the groups of supporters got off a mile before, at non-league Haringey Borough FC’s Coles Park ground. The 2500-seater, nestled in an industrial estate in North London, was set to play host to its second match of the World Cup group stages. The ConIFA World Cup, that is. The ConIFA World Cup is an international tournament set up for teams who represent minority groups and unrecognised states which are not part of FIFA, with the 2018 edition being hosted by London. Among the participants, Székely Land and Matabeleland would face off in this crucial Group C fixture. Székely Land (Székelyföld in Hungarian) is an ethnically Hungarian region in the heart of Transylvania. Since the Trianon Treaty signed in 1920 it has been part of Romania. Their team is usually supported by people from the region and Hungarians alike. Matabeleland, on the other hand, is a region of Zimbabwe which is mostly inhabited by the Ndebele people. The football association hopes to promote development through sport in the region, which has been largely been left to its own devices by Mugabe’s regime. In the run-down rusted stands, rickety seats awaited the Székely and Matabeleland faithful. Most Székely fans chose to stand by the barrier surrounding the pitch, away from the British spectators who are perhaps less-accustomed to Eastern European ultra-groups. Hungarians were wearing their national team’s kit along with the usual fan-favourite black ‘Magyarország’ T-shirts. Matabeleland supporters were present in high numbers as well, with many wearing traditional Ndebele clothing and waving Zimbabwean flags. Throughout the game they created a vibrant atmosphere, showing support through traditional songs and dances. Both Hungarians and neutrals were even tempted and encouraged to take part – there was a mutual respect between both sets of players and fans, showing solidarity for each other’s political situation. The Hungarians welcomed kick-off with the customary red, white and green flares as they set about creating the atmosphere the national team’s ultras are so known for. However, it was Matabeleland who got off to a quick start as attacker Sawusani Mudimba came close to finding the opener in the first few seconds of the match. The game was very even until the 24th minute, when Matabeleland substitute Dude clattered the oncoming striker and was promptly shown red, tipping the balance of the fixture in Székely Land’s direction. The Matabeleland defence eventually cracked soon afterwards in the 30th minute when a hard challenge by substitute Sidibindi, lucky to escape the same fate as his goalkeeper just six minutes prior, resulted in a penalty, which was converted by DVTK player Fülöp. Székely Land went onto score two more before half time, with a long range free kick from midfielder Györgyi and a simple tap in from a Györgyi cross by the aptly named Magyari. Matabeleland were very vulnerable at the back throughout the match, with long balls over their defensive line often leading to clear-cut chances for the Hungarian outfit. The second half was much more balanced, but Magyari was able to nick another goal capitalising on a mistake by substitute goalkeeper Sithole (4-0). Soon enough, the pace of the game visibly slowed as both sides tired. However, substitute striker László neatly poked the ball past Sithole to make it 5-0. In defence of Matabeleland, there had been a noticeable disparity in skill between the two teams. The Székely Team boasted a team captained and led by centre-back Csaba Csizmadia, who has been capped 14 times for Hungary, as well as various players plying their trade in Romania’s Liga I. 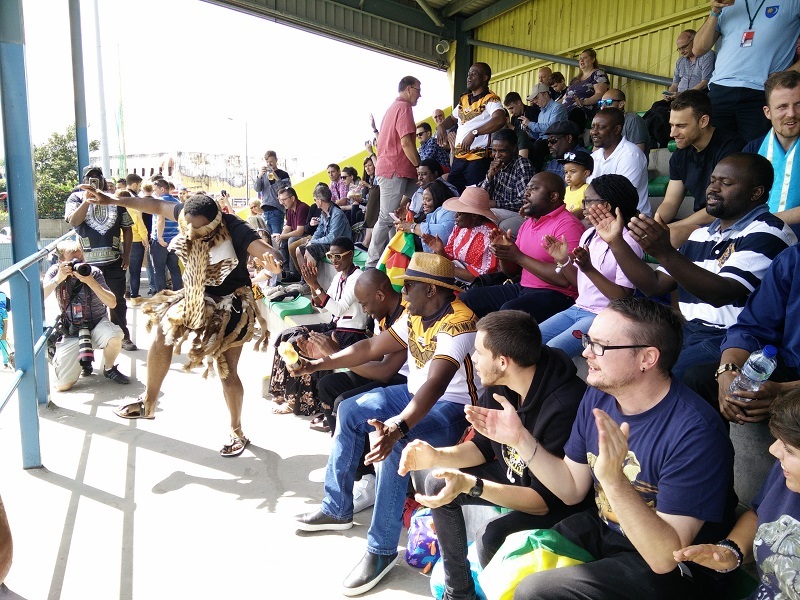 Despite their heavy loss, Matabeleland fans were, to their credit, in full voice throughout the match, inspiring both neutral and Hungarian fans alike by sharing their culture. 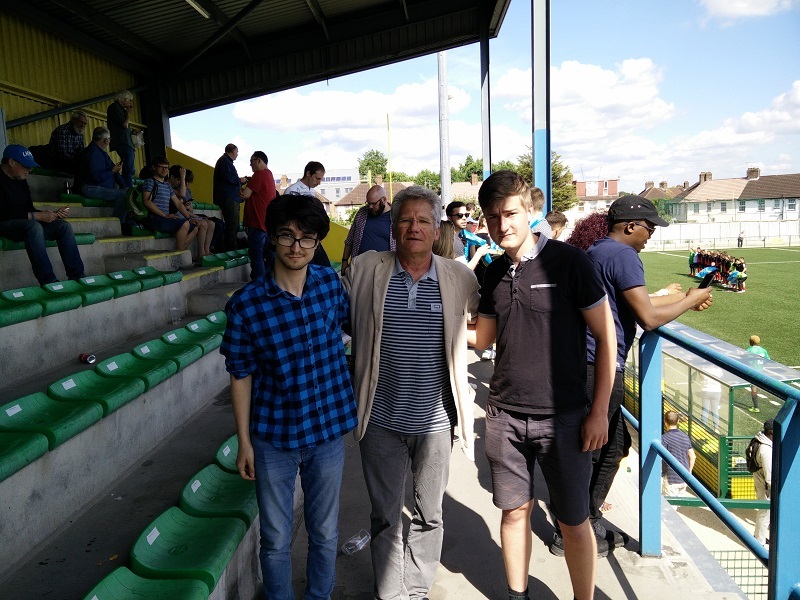 Even renowned Székely-native manager László Bölöni, best known for his stints at Sporting CP and Rennes, was taking photos and videos with the Matabeleland fans. The atmosphere and energy of these games is a stark contrast to the pomp and artifice that will greet fans at the ‘real’ World Cup in a couple of weeks’ time. Despite the undeniable gulf in quality between the two tournaments, the CONIFA World Cup can at least pride itself on being the more authentic football experience. If you are in the London area in the upcoming week and in need of live football, don’t hesitate to check out one of the games. Viktor Kassai in Japan for the 2016 FIFA Club World Cup.